Here, I am sharing my personal experience with you of this Trekking, Camping & Adventurous Hill Station Mount Abu. I am living in Ahmedabad, Gujarat, India. Me and my husband had planned to enjoy last days of vacation at near our city, Ahmedabad. We have chosen Mount Abu as the best and nearest hill station, distance from Ahmedabad is 230 Km (5 Hours Travelling time by Car, 6 Hours by Bus and 6 Hours by Train). It was a Friday night on 28/05/2015 (On my love's birthday), we left our home at 10:00 PM. We have our reservation in Volvo Luxury by sitting in Gujarat Travels (Rs 700 Per Ticket). Me & my husband set together in the luxury & started our journey to Mount Abu. We were recalling our sweet memories of 1st honeymoon of Shimla. 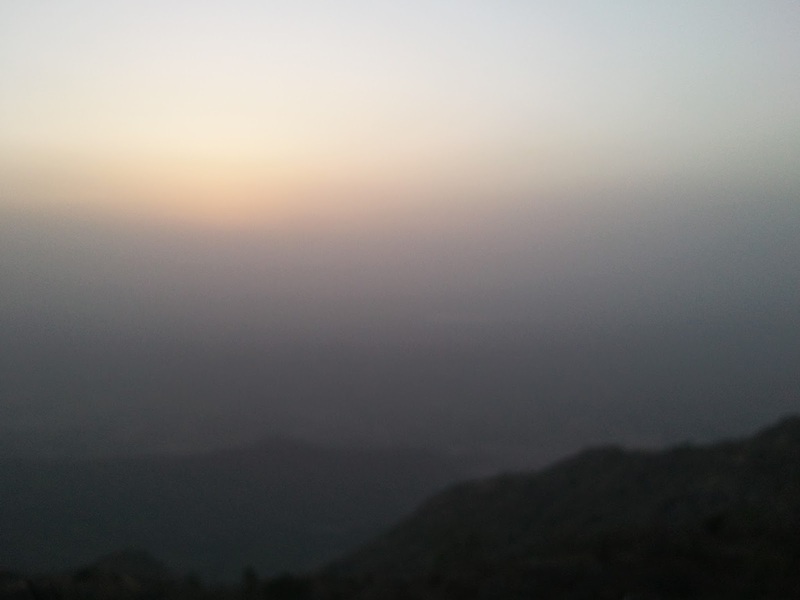 In the morning at 6.30 AM, we reached at mind blowing place at Mount Abu, very cool weather there in May month. Really atmosphere was cool & peace making. I felt just like winter season even in summer. Half an hour we spent our time at tea stall. After that we went to Nakki Lake with our Luggage. Nakki Lake is a place in Abu where person forgets all his or her sorrows and merge in the cool atmosphere and enjoy the calmness of lake water. For two hours we keep on watching transparent water of Nakki Lake. We waited for 2 Hours because our hotel's check in time was 9:00 Sharp. So, at 9 AM we got our room at "Hotel Banjara" (Rs 3800 Per Night) - I should say it is best hotels in mount abu. It was in the main market, near Chacha museum and interior was outstanding. 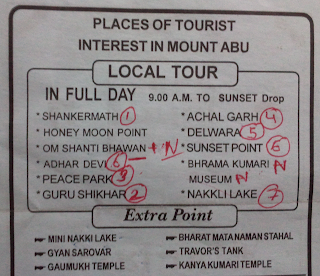 After 1 hour refreshment were in dilemma how to for sight scene of Mount Abu. We were having two option either we have to go by Bus called "Abu Darshan" (Rs. 150 Per Person for whole day) or hire two wheeler for whole day (Rs. 400/day for Honda Activa & Rs 350 for Bike). So we have hired "Activa" for whole day from our hotel manager. Our hotel showed us a map & guided us about all sight scene before giving Activa. After that we went to "Guru Shikhar", a well known Hill Spot of Mount Abu, where Guru Dattatrey Bhagavan rests, which is 17 Km far way from Shankermath (straight). Well, about highway, it was good, it has many turnings and was fully attached to the mountain. It also has dangerous slope, one must ride vehicle very carefully otherwise it will be a risk, either it is 2 or 4 or 6 wheeler. But in-short riding will be a fun and too much adventures. Then we reached to Guru Shukhar Temple. After parking our vehicles, we must go by stairs (Around 300). There was no other option. We started climbing stairs very joyfully, there were so many shops besides stairs, it was hotels, Toys Shops, Fruit sellers, Cold-drinks, Chaas sellers. One can reach temple Datatrey God by doing window shopping. Then we reached temple of Lord Dattatrey, & got blessing from God. Idol of lord was very bright & realistic. There we have taken some Pics and went upside to the peak. From upsight of peak we can see whole wonderful scenario of Abu and one can enjoy full greenery. After visiting Guru Shikhar we went to 'Brahmakumaris' which is known as "Peace Park". As per name Peace Park is really peace making place & mind blowing atmosphere there. First of all when we entered peace park, we were showed us the way by an assistant worker to the hall. He was giving knowledge on our different parts of body, our soul, our existence in this world and about almighty god. At the end he asked some questions also based on that knowledge. After completion of lecture we were guided to go th the park and enjoyed the beauty. The park is so big and full of greenery. One can see different types of flowers and plants there. Many types of trees were also there. No one is allowed to pluck flowers there. Just we can enjoy the beauty of park and we will become stress free in calm atmosphere. We sat that for half an hour and felt the calmness, which is invisible in this world. Then we visited Achleshwar Mahadev, a temple of Lord Shiva. Very old and has historical values. When we entered inside the temple to bow Lord Shiva we felt that lord Shiva themselves gives blessings to all the devotes. Some parts of the temple were damaged. Very finest Crocodile and Wildlife Sanctuary in Mount Abu. We were lucky that we seen live crocodile in this lovely place. After Achleshwar Mahadev, we have our wonderful visit of "Dilwara Dehra" a Jain temple. It is well known for its outstanding architecture work and beautiful marble stone carvings. This temple is surrounded with green hills which fills our heart with joy. We have seen pillars carved ceilings so minutely. Photography is not allowed there otherwise we would have taken so many photos of wonderful ceiling work. Dilwara Temple is divided into five sections. We were so tired, so for 1 hour we have taken rest at our Hotel Bunjaara. After taking rest we got a new energy for visiting a most popular point of Abu and that is "Sunset Point". It is difficult to write about "Sunset point" because it is worthless. Vehicles are not allowed inside the sunset point so we have to park our vehicle far away, distance from Parking to Sunset is 2 Km. After parking vehicle we started our walk forwards sunset point. There were another options to reach at Sunset Point, which is Hand Trolley (See in image below) and Horse Riding. But we enjoyed walking by keeping hand in hand and looking in each others eyes. In no time we reached our destination. How romantic the atmosphere was! It was full of greenery and big hills. For enjoying the beautiful scenario of Sunset we have to climb up the hill. Everyone was waiting for the sun to set and enjoying taking photography with Mango and Chana Chor Garam. All the four sides we only found love birds. I was so lucky that I have a company of my best friend, my love, my cute husband. Slowly slowly sun was going to set, it was a very pleasant evening. Finally it was the scene that everybody was waiting for. Within a few minutes that scene was over and all the crowd scattered. & now its time to move back from the Sunset Point. It was a wonderful eve and we were hungry, so were searching for nice hotel for having our meal. Suddenly we saw a banner of "Hotel Arbuda", we went inside and ordered Rajathani's special Dish "Daal-Baati". And within 5 mins our dinner was on table. After eating we went back to our hotel "Bujaara". We were so tired because of outing for whole day and local market visiting. Next morning was very foggy, locals said the atmosphere is very cooling everyday. We got ready for our 3rd day, on sharp 9 Am we have checked out our hotel room with our luggage & went to tea stall "Chaa". There we have taken our tea and breakfast. After that we reached to Nakkhi Lake, that was our second visit to this beautiful place, you will never get tired of visiting again and again there. "Nakki" is the main attraction of Mount Abu. I felt that I am in the heaven and everything is blue. We sat in garden first and have taken some photography in the garden & in front of lake. Water in the lake was so clean that we were inspired to do boating. So we purchased expensive tickets of boating and sat in the boat which was duck-shaped. We enjoyed boat riding and also enjoyed the beauty of lake. I was not ready to leave that boat because it was really a pleasant moment for me. After boating again we sat in the garden. Now was the time to ready to reach our bus stop. So we have taken our lunch at Hotel Gujarat and moved to our destination towards Ahmedabad in a Volvo Luxury at 3 PM but my heart was still refusing to move back to Ahmedabad. Thank you, for reading my Most memorable tour of my life. I will go MOUNT ABU at least two times in a year. Ashvi Pandya is live in Ahmedabad & Passionate about Travelling. She writes & like to share about her memorable tours in her life. 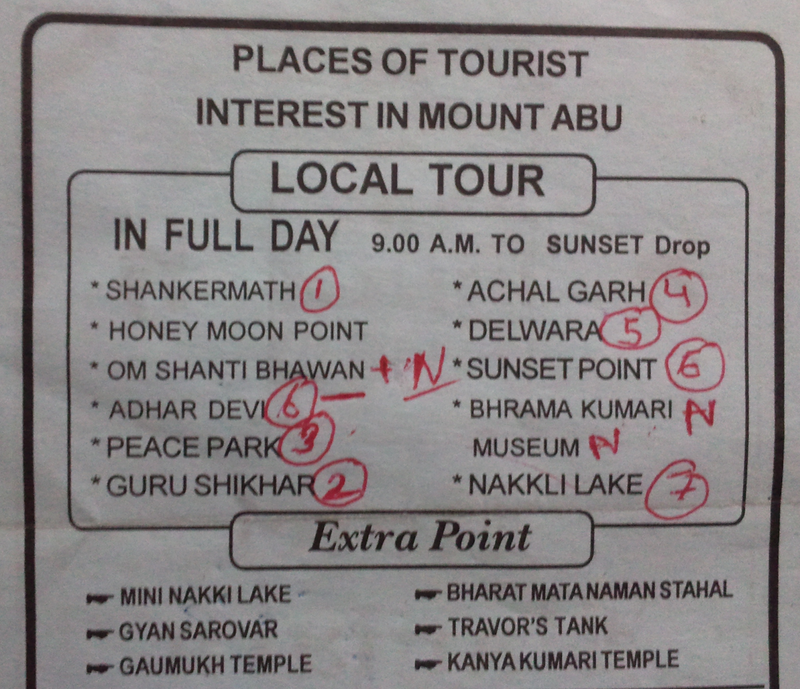 I like the plan u have visited the mount abu. Thanks for the guidance as I will be planning to visit mount. Too good and Thanks gor sharing your trip. Thank you and appreciated your reply!